LivingRoc USA-The Blog: Natural stone: comparing materials! 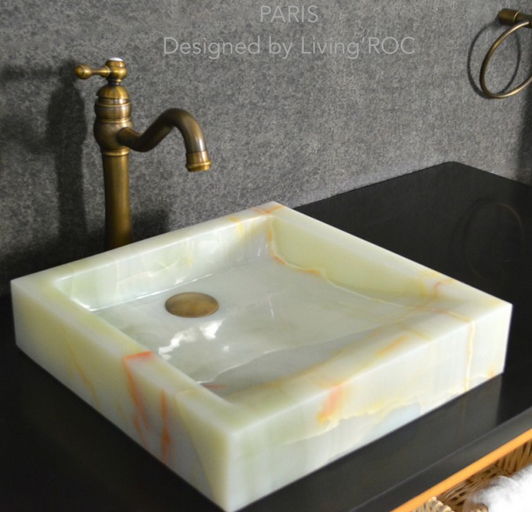 Here at LivingRoc we strive to provide you with information in helping to choose the rite stone for your home, so that you experience the beauty of our natural trendy stones. If the stone is universally considered one of the strongest and most durable materials by excellence ratings, we must provide some clarification with this statement. The kingdom of stones, not all indeed play in the same division. Natural stone derives its prestige and strength of the rock from which it originates and gives it strength, authenticity and charm, the fact remains that each stone (as each organization) has its own characteristics, strengths but also has some weaknesses. Not to mention all stones are not created equal, we note some distinct characteristics that are spoken of granite, marble or other basalts. Compare and have the clarity to choose the material that suits your decor project, check out our summary table of the natural stone quality levels.